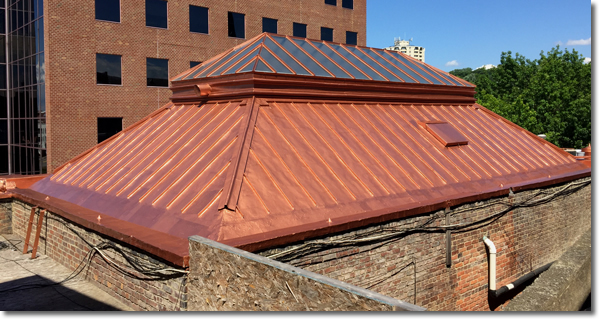 ROOFDX COPPER is an extremely tough, metallic, rubber-like, waterproofing coating that, being made with copper flakes, has a very attractive copper finish that will actually patina. 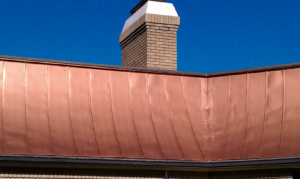 This remarkable “liquid copper” coating can be used over all common roofing substrates and will give the appearance of copper sheet roofing at a fraction of the cost. 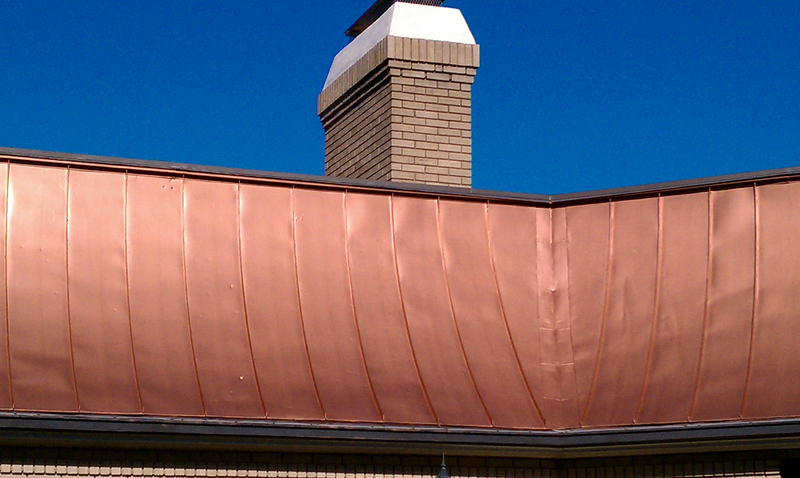 Just like copper sheet, ROOFDX COPPER will develop a classic green patina, or may be sealed with Clearcoat 44 to maintain its new appearance. 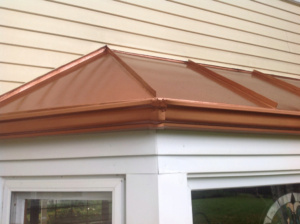 Protects substrate against rust, corrosion, UV damage, acid rain and fungal attack. Easy to apply straight out of the container by brush, roller or airless spray. 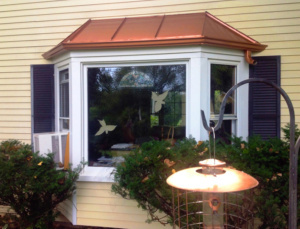 May be used on vertical, slanted, and horizontal surfaces, and withstands ponding water. 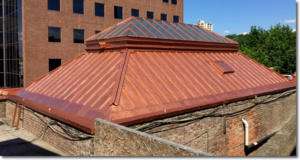 Can be used over most metals, copper, rubber, concrete, modified bitumen, asphalt BUR, masonry, slate/tile, wood, and other approved surfaces. 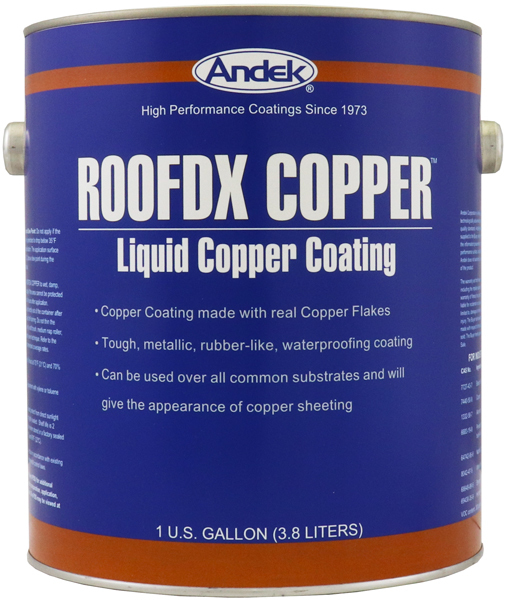 Do not apply ROOFDX COPPER to wet, damp, or frozen surfaces. Do not apply if the area cannot be protected from precipitation for at least 4 hours after application. ROOFDX COPPER is applied directly out of the container after at least 2 minutes of low speed drill stirring. Do not thin the product. Apply in 2 coats using a soft brush, medium nap roller, or airless sprayer in a smooth, even technique.